Gavelkind as a form of free socage tenure and of inheritance is an example of ancient customary law in England. 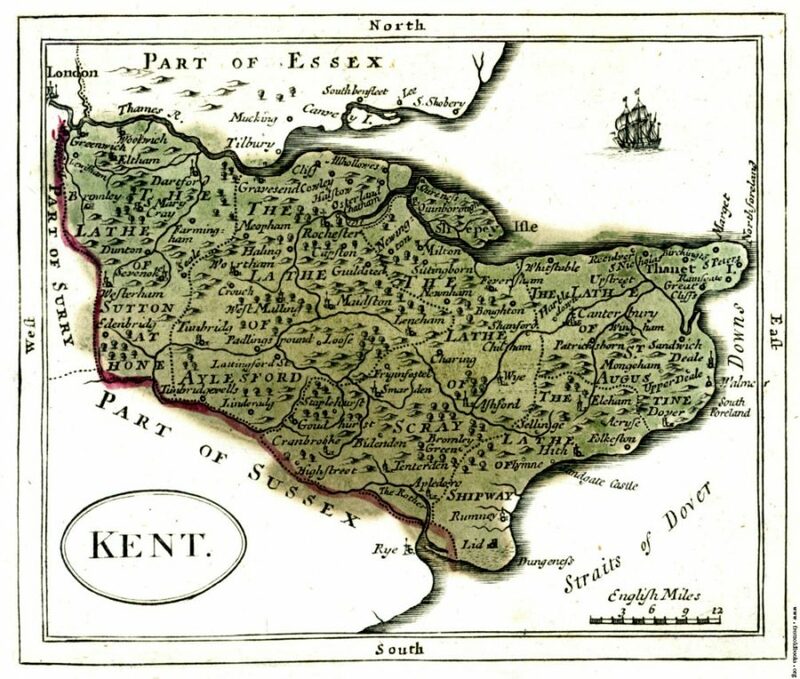 Before gavelkind tenure was abolished by the passing of the Administration of Estates Act of 1925, all land in Kent was presumed to be held by gavelkind until the contrary was proved. Some ancient legal authorities state that all land in England was once held by gavelkind, but after the Norman conquest of 1066 it was then generally superseded in most parts of England by the feudal law of primogeniture with gavelkind continuing, in the main, only in Kent. Gavelkind is said to have been one of the customary rights the people of Kent were allowed to retain by William I, the Conqueror, in return for their peaceful submission to his rule. Gavelkind is believed to derive from the Saxon word gafol or gavel, which signifies either the cash payment of rent, or a customary performance of agricultural work in lieu of cash. Gavelkind tenure was more correctly described as free socage tenure subject to the custom of gavelkind, and meant that the land was held in socage, not in chivalry. “ It is certain, that all lands in this county which were antiently and originally holden in socage tenure, are of the nature of gavelkind, of which sort were most of the terre tenants of the several seignories in it, who held by that tenure, notwithstanding their chief lords held by military service”. [General history: Socage and gavelkind tenures Pages 311-321 The History and Topographical Survey of the County of Kent: Volume 1. By W. Hasted]. Ranulf de Glanvill and other ancient legal authorities called tenants in free socage “liberi sokemanni.” De Glanvill was Chief Justiciar of England during the reign of King Henry II (1154–89), the probable author of “Tractatus de legibus et consuetudinibus regni Anglie” (The Treatise on the Laws and Customs of the Kingdom of England), the earliest treatise on the laws of England. Free socage could mean the rendering of a defined monetary rent; payment in livestock, agricultural produce or goods; or specific agricultural and manual services in payment to the lord of the manor, but did not include any military service as with a knight’s fee or knight’s service. Knight’s fees continued to exist until the reign of Charles II, when an Act of Parliament was passed in 1672 whereby all tenures by knight-service were, with one or two minor exceptions, converted into free and common socage. The holder of land in gavelkind tenure could freely give, sell, or let his land to whom he wished during his lifetime provided all the rents and services due to the lord were properly secured and could be included within a knight’s fee, as was the case in the knight’s fee of Essewelle and its constituent manors of Easole and Fredville. In the two aforementioned manors service to the respective lords of the manor consisted of payment of a fixed cash rent on four specified days of the year and suite of service [attendance] at the manorial courts leet and baron, usually every three weeks, and non-attendance was subject to a small fine. In the 1280’s gavelkind tenure holders in the adjoining manor of Wingham were recorded as completing various kinds of agricultural and manual services and payments in poultry and eggs to the Archbishop of Canterbury, Lord of the Manor of Wingham, as well as paying suite of court. Gavelkind tenure could only be altered by Act of Parliament. An early example of this occurred when in 1202 King John gave Hubert, Archbishop of Canterbury, a charter allowing Hubert to exchange the gavelkind tenures held of the see of Canterbury into tenures by knight’s service. The accession of the Tudors to the throne of England saw the passing by Parliament of a number of disgavelling acts. In the eleventh year of Henry VII and the fifteenth year of Henry VIII to acts were passed to disgavel land held by Sir Richard Guldeford and Sir Henry Wyat. Then in 1539, the year in which legislation to dissolve the remaining monasteries was passed, an act was passed disgavelling the lands of thirty four gentlemen, many of whom would increase their land holdings when these monastic lands came up for sale. Amongst those whose lands were disgavelled were Sir Christopher Hales, the Master of the Rolls, and the Culpeppers. Sir Christopher had received St. Alban’s Court by grant of the Abbot of St. Albans and had the grant confirmed by Parliament in 1539, and the St. Alban’s Court estate was disgavelled later that year. On Sir Christopher’s death in 1542 his three daughters sold the estate to Alexander Culpepper, who in turn sold it to his brother, Sir Thomas Culpepper, who sold it to Thomas Hammond, the sitting tenant, in 1555 (1556). Generally the gavelkind land holder could dispose of their land in their will, and inheritance through the custom of gavelkind only applied where no will existed. Gavelkind was a system of partible inheritance whereby property was divided amongst all heirs, not just males, in the event of the intestacy of the owner. This resulted in the sub-division of land holdings and accounts for the large number of small pieces of land held by various people throughout Nonington and the adjoining parishes and very obvious when reading the various Esole manorial rolls. From the mid-16th century onwards these small pieces of land were gradually bought up by increasingly wealthier Nonington yeoman farmers such as the Creake family, and later the Paines in the late 18th and early 19th centuries, to make larger and more economically viable farms. Many of these yeoman farmers were in their turn bought out by the larger land-owners such as the Boys’ of Fredville, who in their turn were superceded by the Hammonds of St. Alban’s Court and the Plumptres of Fredville. However, as late as 1859 Esole Fields still had some narrow strips of land owned by small-holders recorded on the Poor Law Commissioners map of that year, and other small-holdings are evident across the parish. Most of these remaining small-holdings gradually disappeared as they became more uneconomical to farm in the prolonged agricultural recession of the late 19th century caused by cheap imported grain coming in from North America and the small-holders sold up to larger land-holders, after which they often used the money received to move to the towns or emigrated, especially after the railway arrived in Nonington in 1861. In case of intestacy, lands in gavelkind descended to all the sons alike in equal portions, and if there were no sons, then equally among the daughters. With regard to the deceased persons chattels, providing the deceased left “lawful issue” it was formerly part of the custom of Kent that after the funeral had taken place and the debts of the deceased had been discharged the chattels would be divided into three parts. One portion was to the dead, for the performance of legacies; another to the deceased’s children: and a third to the wife, for her support and maintenance. “The husband, after his wife’s death, enjoys a moiety [half] of her inheritance in gavelkind by courtesy, whether he has children by her or not, until he marries again”. A dowager was entitled to one half of the land. “The wife, after the death of her husband, has for her dower a moiety of his lands in gavelkind, for so long time as she shall continue unmarried and in chastity; after which, faith the custom. Let him also give unto her or lend her”. 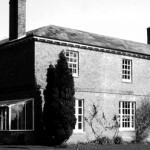 A widow who had no children was entitled to inherit half the estate, as a tenant, as long as she remained unmarried. A gavelkind land holder could pass on part or all of their lands as a fiefdom from fifteen years of age. On conviction of committing a felony the convicted persons lands were not subject to corruption of blood, one of the consequences of attainder, which entailed losing not only one’s life, property and hereditary titles, but typically also the right to pass them on to one’s heirs. The descendants of an attainted person could not inherit either from the attainted person whose property had been forfeited to the Crown by the attainder, or from their other relatives through him. And the son to the plough*”. + condemned to the gallows. *impoverished by the loss of his inheritance.